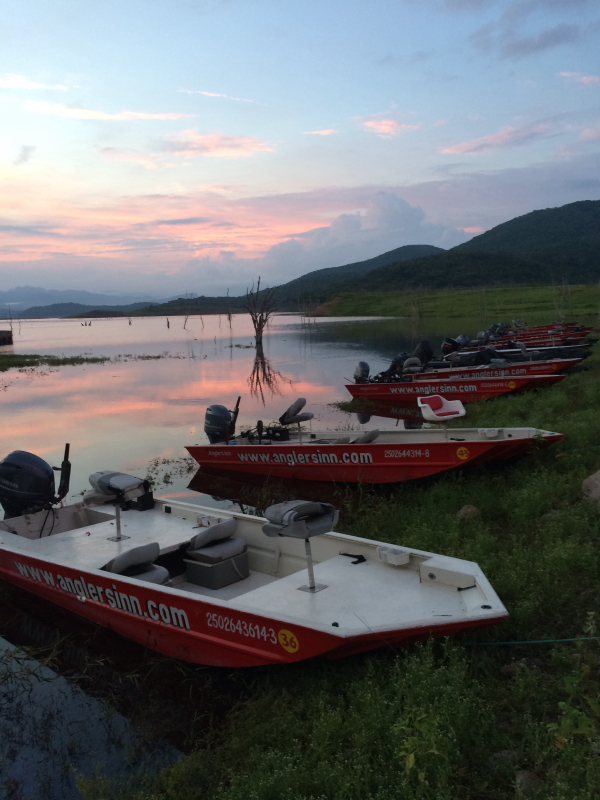 Anglers Inn International has hosted trophy bass fishing trips to Lake El Salto for years and double-digit bass are no stranger to anglers visiting the lake. Anglers Inn also operates a lodge on the new Lake Picachos, with daily catches of quality bass numbering in the dozens and often in triple figures. Visitors to Anglers Inn have the opportunity to experience both lakes on the same trip enjoying the world’s best fishing with unmatched service and facilities. Billy Chapman, Jr. owns Anglers Inn and is always developing ideas to give his customers the very best trip imaginable, one they will not forget. For $2,490 anglers can spend six nights with five days of fishing, with three nights and two and a half days of fishing on each lake. Deluxe lakeside lodging (double occupancy), delicious meals prepared by professional chefs, open bar, full laundry service and ground transportation to and from the Mazatlan International Airport are included in the package. There’s even a masseuse at the El Salto lodge to sooth those sore muscles from the rigors of catching so many big bass. A seasoned, professional guide hosts anglers in a custom, comfortable custom boat with 60 HP Yamaha engine and Minn Kota trolling motor. Not included in the package are airfare, gratuities, tackle and personal items. A complete tackle package with the most productive baits is available, pre-ordered and shipped right to your door. St. Croix rods are available at the lodge so no need to struggle with rods during travel. To learn more about Anglers Inn International fishing opportunities login to www.anglersinn.tv and www.anglersinn.com or call 1-800-GOTAFISH (1-800-468-2347).